Can We Get Some More Black Senators and Governors? Little-known fact: The crab state of Maryland has one of the highest percentages of black population in the United States. Theoretically, you might think that that would make the state one of the more powerful black political blocs in the land. Yet while the state is nearly 33 percent African American, it’s never had an African-American governor or U.S. senator. “It’s embarrassing Maryland can’t elect African Americans statewide with the number of black votes it has,” says Peter Groff, a former president of the Colorado state Senate who now advises black state legislators. Not for lack of trying: Three black men (two Democrats and one Republican) have made three failed statewide attempts since 2006. With U.S. Sen. Barbara Mikulski (D-Md.) announcing her exit from politics, now would be the time to change that equation. But instead, the state’s dominant Democratic political machine seems settled on another white guy. Wasting little time, Senate Minority Leader Harry Reid (D-Nev.) gave his old-boy blessing to Rep. Chris Van Hollen (D-Md. ), the first to announce a run for the seat. Something is wrong with that picture. There is a very deep pool of black political talent in Maryland, almost all Democratic, save the Republican lieutenant governor. There are two influential members of Congress, the mayor of Baltimore and a number of legislators in the statehouse. A source close to former NAACP President Ben Jealous claims that even he’s mulling a bid, a risky play in a state that’s widely known for its rigid stand-in-line machine politics. But Jealous could change the game with his vast grassroots network and proven fundraising prowess as leader of one of the largest Get Out the Vote operations in the country. It’s a good point. Only 2 percent of the U.S. Senate is black, while at the same time, there are currently no African-American governors in office. White men are only a quarter of the population, yet they maintain control over all political infrastructure. This isn’t pre-Mandela South Africa. But with those numbers, some could draw the comparison. African Americans constitute 13 percent of the voting population—but as of 2015, they make up only 2 percent of the U.S. Senate and zero percent of all governors in the 50 states. In California, Attorney General Kamala Harris is running and has a good chance of winning statewide for an open U.S. Senate seat in 2016 (barring any political disaster). There are a dozen states (many are major electoral battlegrounds) that have black populations ranging from 20 percent to nearly 40 percent, yet qualified African-American candidates are neither tapped for statewide office nor able to win primaries. There are inherent challenges. Battling for political supremacy across an entire state is a whole new mess compared with battling in one congressional district or a city. It’s not easy, and no one is going to hand it to you. White voters on one side of the state could be much more hostile to an unfamiliar candidate than the white voters in a local district. And no one is saying that simply electing a black face is a panacea for all black problems. But that’s not a reason not to give black candidates a try; nor is it a reason not to aim for better representation. The lack of statewide black candidates could be a real problem for Democrats as 2016 ramps up. Without President Barack Obama on the ticket, a big question is whether black voters will bother showing up as strongly as they did in 2008 or 2012. 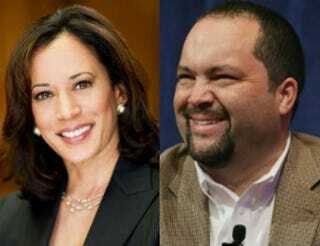 If Democrats want to keep Republicans out of the White House, they could start by recruiting highly capable black Senate or gubernatorial candidates who can energize the black vote. Neither party can talk diversity simply by asking for more black voters—they must invest in credible statewide candidates who encourage black voters to show up. But predisposition is not an effective political strategy when the country’s complexion is changing fast. Within five years, people of color will be the majority in many states; by 2060, over a quarter of the American population will live in a state where “minorities” are a majority. Our political institutions have no choice but to reflect those changes—especially on the statewide level—or we risk losing the democracy and racial progress we thought we had.